President Zeman and his delegation, which included Martin Netolický, Governor of Pardubice, were welcomed to the facility by Sylvain Blaise, Head of CNH Industrial Global Bus, and Jiří Vaněk, Head of Iveco Czech Republic. The delegation was first given a presentation covering the history of Iveco Bus and its current position as one of Europe's leading industry players. They were also briefed on the planned developments for the Vysoké Mýto plant and on its significant role in promoting employment in the region. 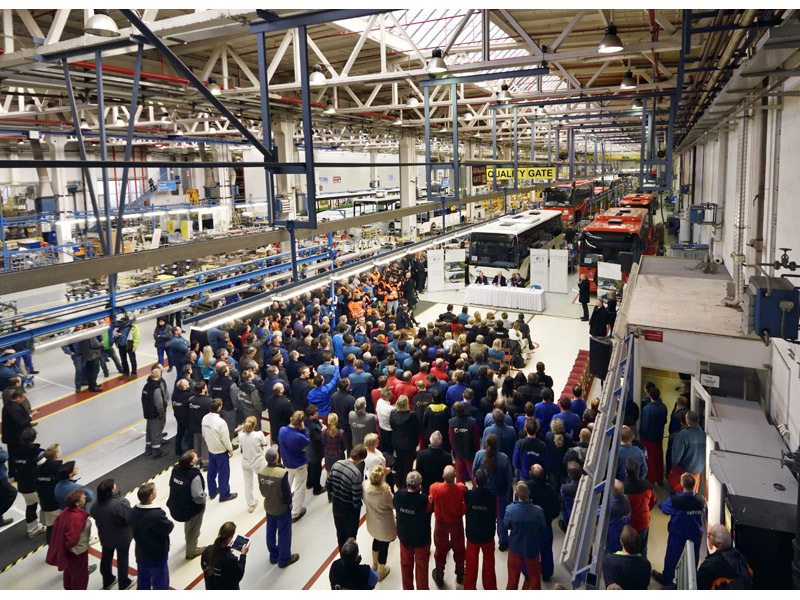 "Iveco Czech Republic is one of the nation's top manufacturers. It is a major employer in the region with over 3,000 employees and provides an additional 1,700 jobs with the sub-contractors. Iveco Czech Republic is continuously investing in its industrial facilities and has more than doubled its production within the past 10 years," said Sylvain Blaise during the event.